Have you noticed it? No one approaches him. No one will shake hands with him. No nods or chit-chat. They walk past him, as he swings and sways all by his lonely self. I'm talking about Donald Trump and his recent encounters with international leaders. Everyone avoids him. First it was Memorial Day in France. 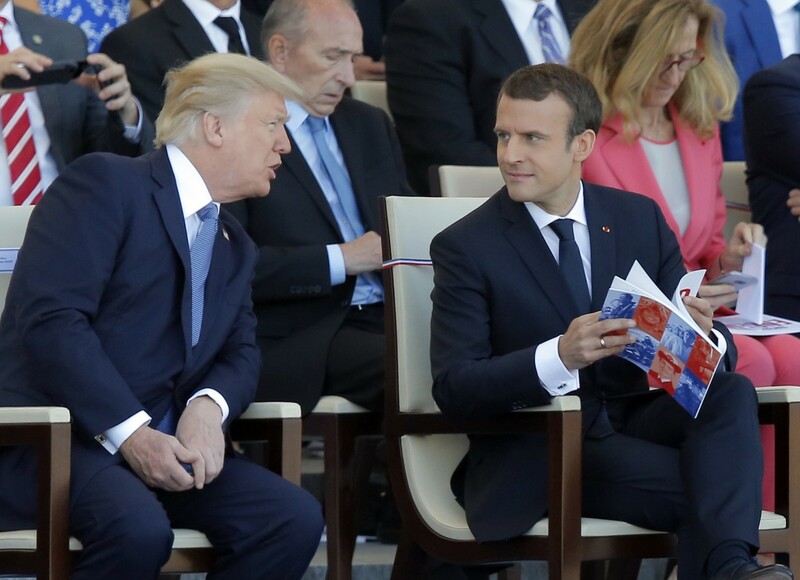 His host, Emmanuel Macron, shunned him, opting to read a magazine rather than talk to him. Miffed by the avoidance tactics of British, Canadian, German and other statesmen, Trump pointed to the mist and said rain prevented completion of the ceremony. Too wet! Or...helicopter won't fly! Can't drive...roads too wet. Any excuse to avoid the shunning of him by the international community. Then it was the Colombian fiasco: earlier this month Trump canceled a planned stop in Colombia, citing unspecified scheduling concerns, but his public schedule does not reveal any significant conflicts. Now it's on to the G20 summit trip to Argentina this week (November 29, 2018), where our brave commander in chief will spend just 48 hours on the ground (less snub time). Taking a lead from the old game of Where's Waldo, news reporters asked, Where's Donald? Donald seems, increasingly, unwilling to appear and hob-nob with the who's who of the international community. Perhaps he feels the distance...the chill that his boorish arrogance creates? Perhaps it's his snubbing of Angela Merkel? Or could it be his rudeness toward Canadian PM Justin Trudeau? Seems, when it comes to being a regular guy, Trump can't quite pull it off. In any event, he is increasingly being snubbed by the international community of leaders, and he knows it. Perhaps he thinks there is a sniper with him in his sights. He gives countries plenty of reasons.